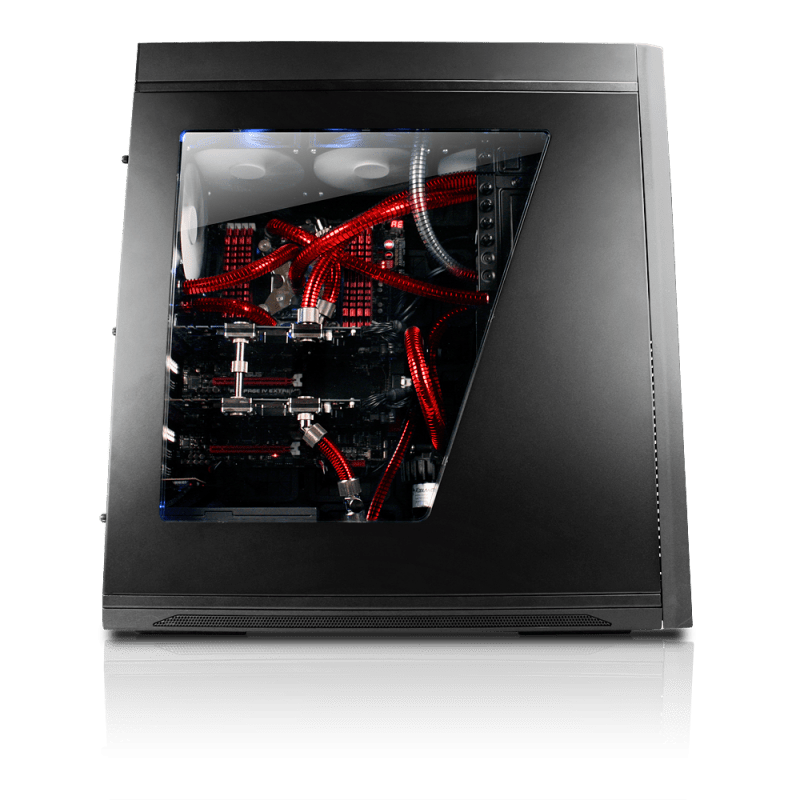 Unveiled at CES 2012, Erebus GT is a low-cost revision of iBUYPOWER’s premium system named for the God Darkness and features a proprietary liquid cooling solution powered by Koolance that provides epic overclocking potential. 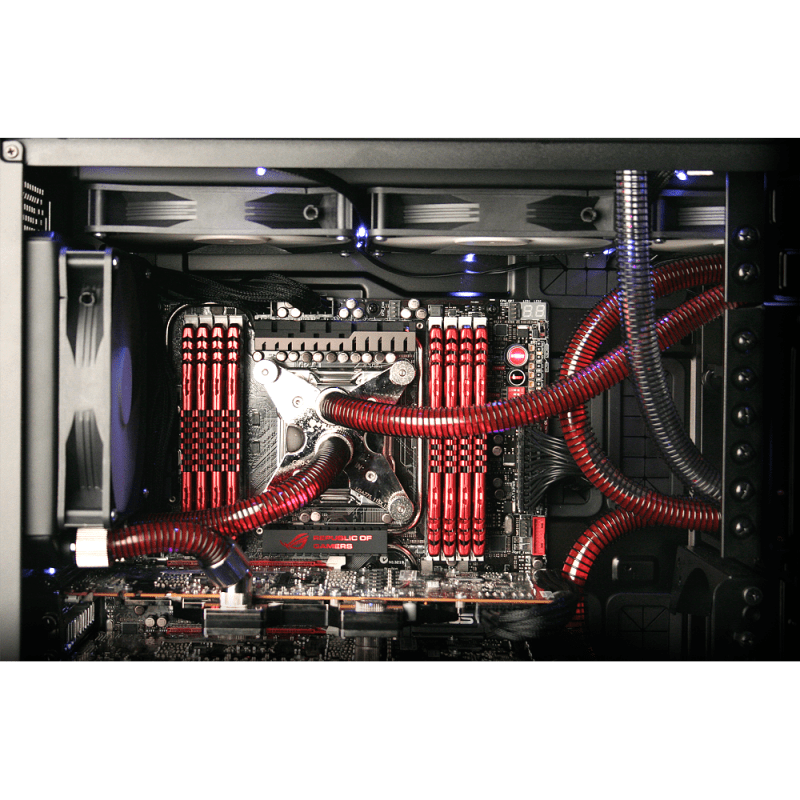 The rugged Erebus GT features an advanced cooling system that includes three large radiators and 13mm high flow tubing to circulate 4.5 gallons of coolant per minute. Like its larger sibling, the Erebus GT features a steel chassis frame, with aluminum top and front paneling. Erebus GT also retains the top fill port, built-in reservoir that can be checked through the front panel, and transparent top fins redirect exhaust and noise to the rear of the chassis. 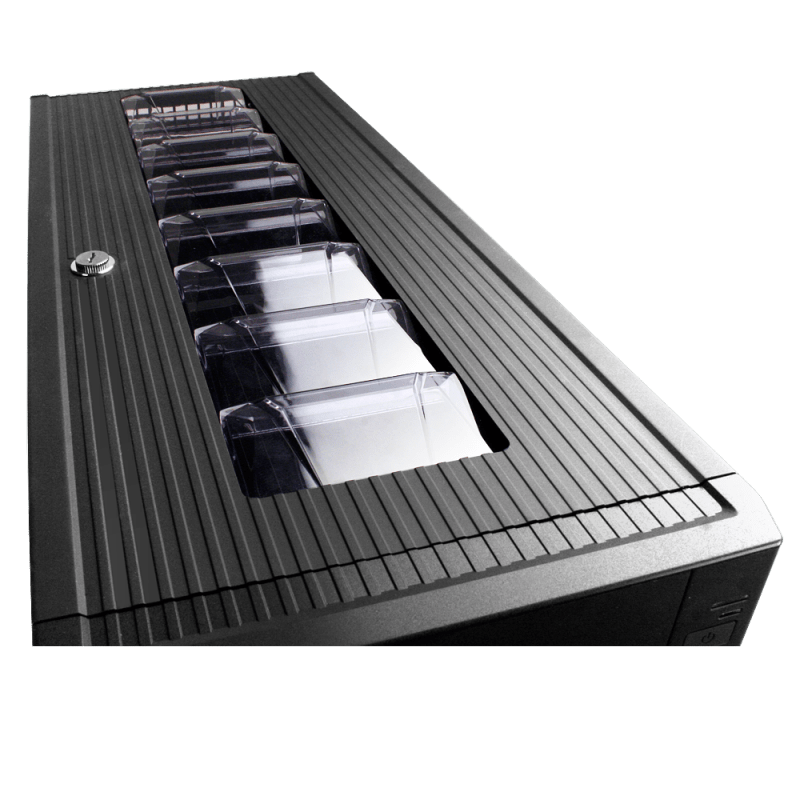 The Erebus GT’s compact cooling system features wider radiators than the XL’s (140mm vs 120mm) to offset the cooling capacity loss from overall shorter radiators (top radiator from 4×120 to 3×140, rear from 2×120 to 1×140), as well as the removal of the front radiator. 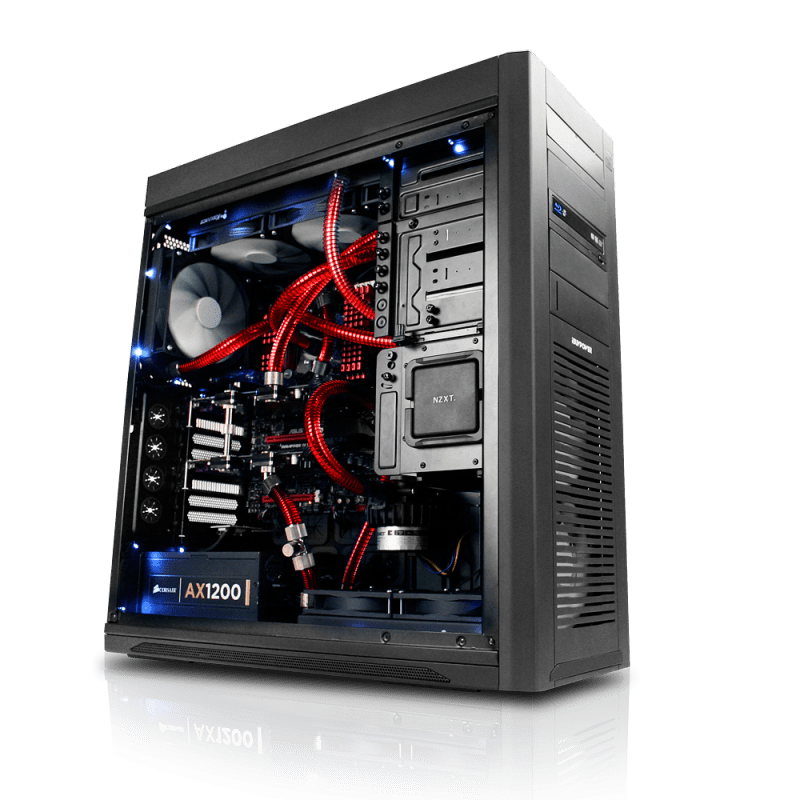 The result is a smart case design that creates unidirectional air flow to help the cooling system reach a maximum rated heat dissipation of 2,500W. Gamers looking to get the most of the Erebus GT’s unmatched cooling abilities can take advantage of iBUYPOWER’s PowerDrive Overclocking Service. 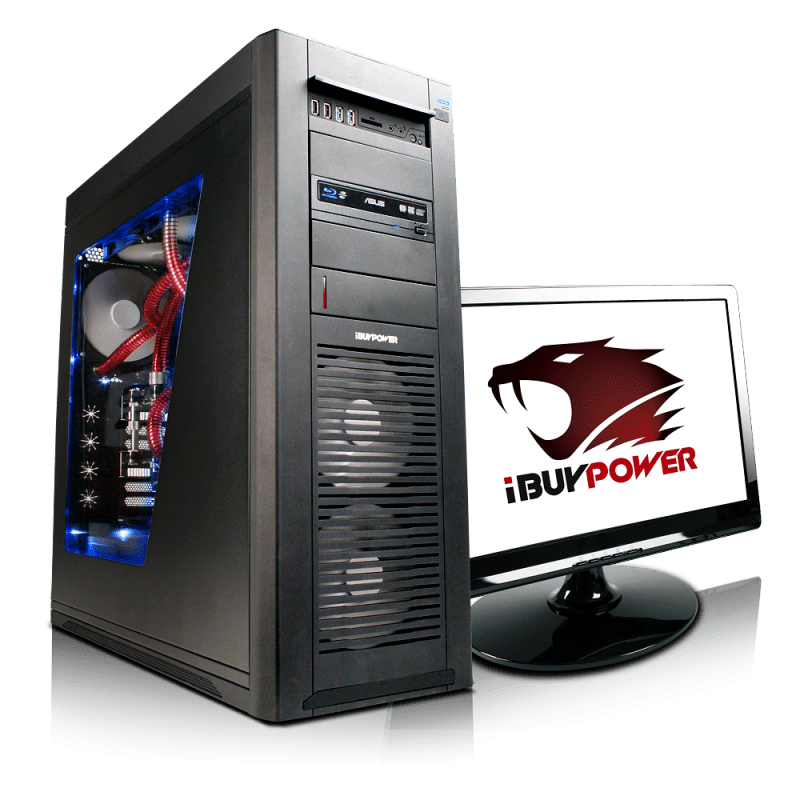 Professionally trained and certified iBUYPOWER technicians can boost CPU performance by as much as 30% without the risk of system instability, crashes or damage to expensive components. All new systems enhanced with PowerDrive overclocking are fully covered under iBUYPOWER’s standard warranty. 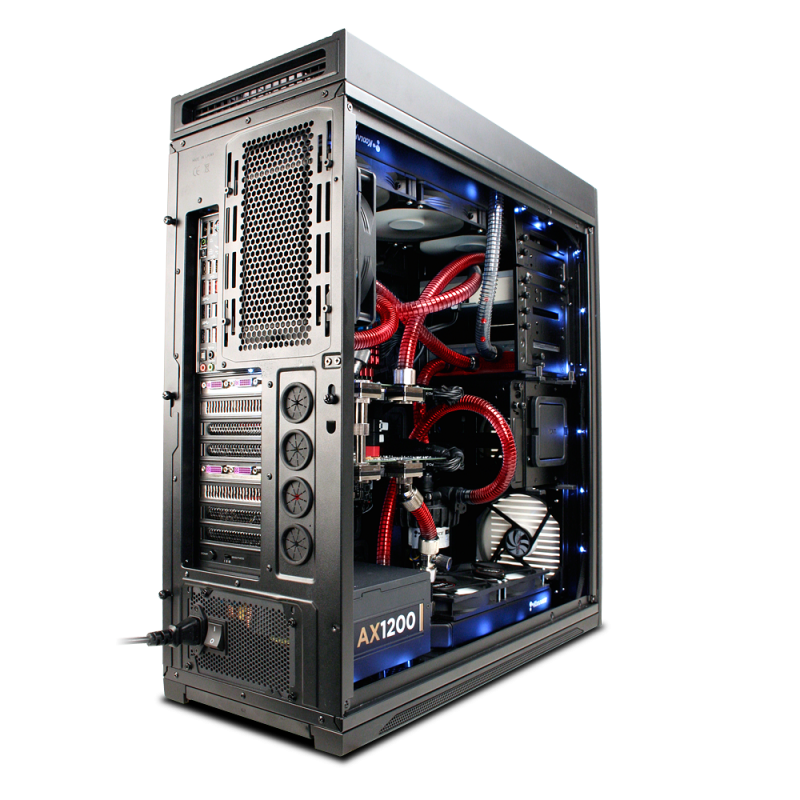 Follow iBUYPOWER at facebook.com/iBUYPOWERPC all the latest news on the Erebus GT and all of iBUYPOWER’s systems.